Solana Beach, CA (July 21, 2016) – Hookit, a data-driven sponsorship intelligence platform, has renewed its partnership and expanded its services to the new 2016 Dew Tour to allow the premier action sports series to utilize its full suite of both digital and social engagement and valuation tools. The first stop of the 2016 Dew Tour will take place in Long Beach, CA on July 22-24, 2016 at the Long Beach Convention and Entertainment Center. Armed with Hookit’s unique data analytics engine, Dew Tour will be able to track and measure the impact and value of its skateboarding competition and festival from a consumer engagement standpoint on an ongoing basis. On a broader scale, Hookit will also track and measure the Dew Tour’s overall level of consumer engagement through its combination of live event and digital platforms, including its Dewtour.com online content platform. For the first time this year, Dew Tour will utilize the Hookit Valuation Methodology (HVM) for a superior and more exacting methodology to accurately evaluate and track the tour’s sponsorship earned media value across the physical, digital and social media landscapes. Key sponsors for the 2016 Dew Tour include Mountain Dew, U.S. Army, Motorola | Verizon GoPro, as well as the U.S. Army. “With the Hookit Valuation methodology, The Dew Tour is confident we will be able to provide our sponsors a very robust and comprehensive picture of the earned media value generated from their partnership by measuring both onsite exposure and extensive conversations and engagements in the digital and social media sphere,” said Adam Cozens, Dew Tour’s Vice President & General Manager. “We are happy to have continued and extended our partnership with the Dew Tour,” said Carl Thomas, Chief Revenue Officer of Hookit. “We are excited to expand that role in helping TEN:The Enthusiast Network maximize the value of their substantial sponsorship offering.” The Dew Tour joins the ranks of prestigious sports rights holders including the NHRA, USSA, Canadian Olympic Team and the LPGA that have embraced the Hookit Valuation Methodology as their standard for measurement of earned media value in digital and social media. Based in San Diego, CA., Hookit offers the most comprehensive and exacting data analytics platform for establishing and tracking the value of individuals/athletes, teams and events across the sports and entertainment industries. Through its proprietary platform and Hookit Valuation Methodology (HVM), Hookit brings athletes, teams, brands, agencies, events, leagues and federations together in mutually beneficial partnerships. Hookit’s blue-chip client roster includes Go Pro, Monster Energy, IMG, NHRA, LPGA, and United States Ski and Snowboard Association. For more information, visit www.hookit.com. Dew Tour is an innovative contest series and content platform that brings together the world’s best skateboarders, snowboarders, skiers, artists, brands and fans in a celebration of creativity and style. In 2016, TEN: The Enthusiast Network, publisher of TRANSWORLD SKATEBOARDING, TRANSWORLD SNOWBOARDING, SNOWBOARDER, POWDER, NEWSCHOOOLERS, and GRINDTV became the official strategic partner to lead content production, execution and event staging for the Dew Tour. 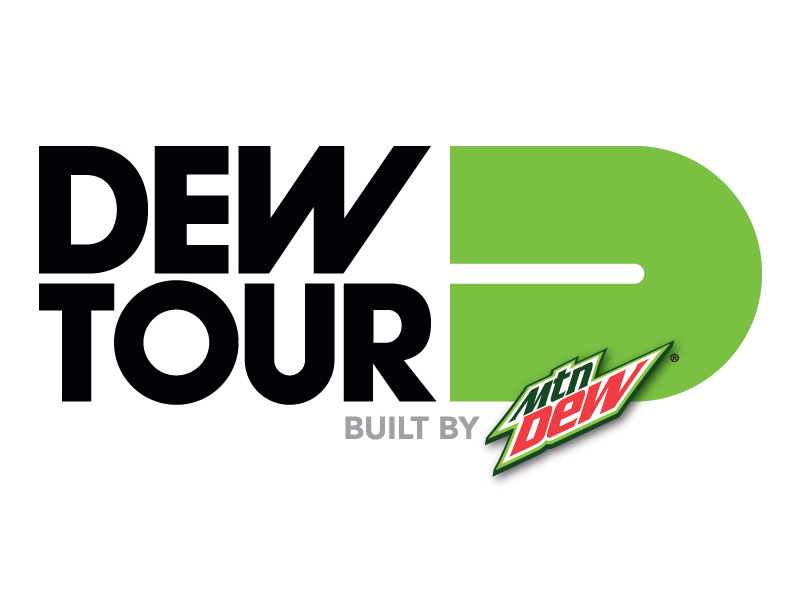 Working in close collaboration with TEN’s core action sports media brands and in partnership with DEW®, Dew Tour continues to progress events and content, bringing millions of action sports fans engaging stories and experiences across digital and broadcast mediums. In addition to Dewtour.com and TEN’s digital network, Dew Tour’s summer and winter events will be broadcast on NBC. Stay connected at DewTour.com and on Facebook, Twitter, Instagram and YouTube @DewTour. TEN: The Enthusiast Network is the world’s premier trans-media network of enthusiast brands, such as MOTOR TREND, AUTOMOBILE, HOT ROD, SURFER, TRANSWORLD SKATEBOARDING and GRINDTV. With more than 60 websites, 50 publications, 50 annual events, the Motor Trend OnDemand subscriptionvideo-on-demand service, as well as the world’s largest automotive and action/adventure sports media platforms, TEN inspires enthusiasts to pursue their passions. For more information, visit enthusiastnetwork.com.